Posted March 22, 2018 by Williams Dentistry & filed under General Dental Articles, oral health, Prevention. When most people think of calcium, they often associate it with building super strong bones. 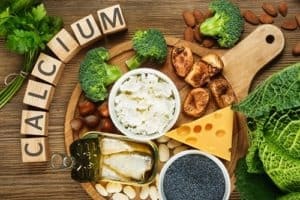 While that’s certainly part of its benefits, the team at our dental office in Asheboro also knows that calcium is crucial for a strong smile, too. But before you start diving in to a calcium-rich diet, consider some important facts to keep your body, and mouth, healthy. While you should always try your best to get your recommended daily intake of calcium, there’s no need to go overboard. In fact, your Asheboro dentist wants you to know that ingesting too much calcium can have adverse effects on your oral and overall health. 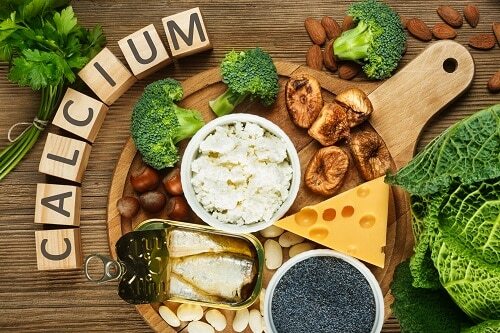 Excess calcium can lead to gum disease, plaque deposits, and has even been studied to potentially increase the risk for heart disease. Just like most things in life, calcium is best in moderation. Make sure to follow the recommended amount for your age and gender. Our Asheboro dental office strives to keep our patients as healthy as possible, and not just their smiles. That’s why we encourage each and every one of them to eat well balanced meals and get enough calcium and vitamin D. That, along with maintaining bi-annual dental visits and brushing and flossing regularly, will help keep their smiles and bodies strong, for life.